Rocket League is a fun and entertaining game to play. Good thing our team has listed the most affordable and latest Rocket League deals from the most trusted and reliable brands and online retailers. With our assistance, you can fulfill and purchase the Rocket League games on your wishlist at very affordable prices. Our supportive team of bargain hunters has listed the latest Rocket League deals and special offers available for you. Save as much as 60% on game bundles when you buy from eBay, Amazon, Ebuyer, and other UK sellers. Rocket League 40% on Steam. 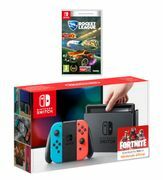 NINTENDO SWITCH NEON with ROCKET LEAGUE Reduced from £309.98 to £289.99! 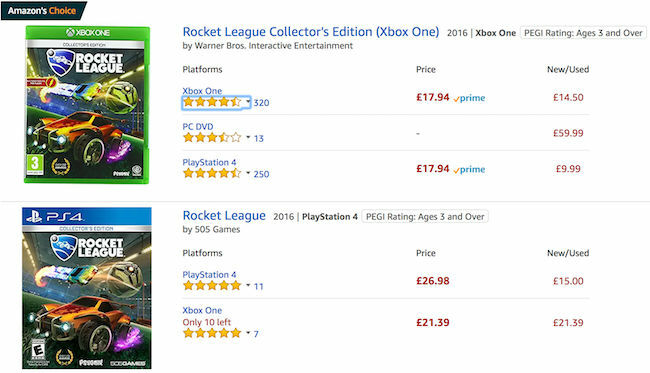 Find the best Rocket League price for all types of consoles! For soccer enthusiasts, Rocket League is a sure platform. Psyonix created and published this video game. Primarily, PlayStation 4 and Microsoft Windows released it in July 2015. Since then, there were various ports for macOS, Linux, Xbox One and Nintendo Switch. It was only on June 2016 when the 505 Games started distributing it for PlayStation 4 and Xbox One though. At the end of 2017, the Warner Bros. Interactive Entertainment took responsibility for it. In Rocket League, there are two teams consist of four players each. They are defined as soccer with rocket-powered cars. The idea is to hit a ball to the goal of your opponent. That is how you can score a point. Basically, the match is played in a course which includes basketball and ice hockey. In the game, you can choose to play in single or multiplayer mode. Hence, you can opt to play it local or online across several platforms for as long as it is supported. Supersonic Acrobatic Rocket-Powered Battle-Cars gave birth to Rocket League. The earlier version is a game for PlayStation 3 which was released in 2008. Initially, it only received mediocre reviews from its users and was not really successful. Regardless, it has formed a fan base and a loyal one at that. Since then, Psyonix was determined to develop its work. That became the reason for the sequel. Hence, Rocket League was said to be the formal improvement of it. 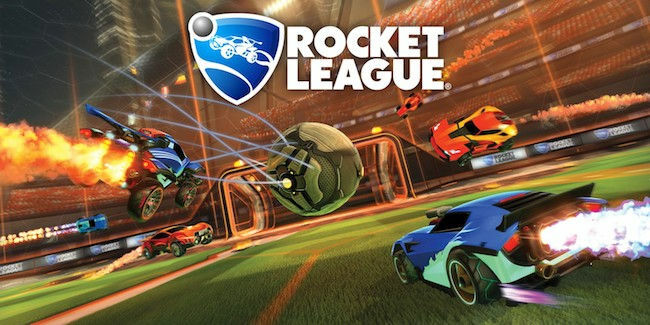 As compared to Battle Cars, Rocket League received more praises. The gameplay was commended for its graphics and entire presentation. At the start of 2018, it is being played by 40 million players worldwide. Due to the game’s success, even eSport adopted it. To make all of these work, Psyonix is responsible enough to look for necessary technical steps that would allow a cross-platform play. Thus, it has been tested in different environments. Are you starting to build a fascination over Rocket League? If yes, you surely know the frustration when you are getting dunked. Worry no more! Here are some of the tips that can help you earn the elusive diamond that you deserve. Edit your camera settings. This is probably one of the first things you have to do upon playing. When you are in the practice mode, it is not enough that you know the mechanics of the game. From your car, you can probably alter the distance to your comfort. Even your field of view can be modified too. At least, you can see better through this. Master the art of rotation. When you are only beginning, you may have a difficulty positioning what must be given attention to. So, you have to master that. If you are playing with a team, they should also learn about this as well. It does not matter whether the game is in 2v2, 3v3 or 4v4. For whatever it is worth - eyes on your goal. Never belittle the handbrake. Apart from jumping and boosting, the handbrake tool is one command that you will be hitting a lot. When you can navigate this easily, whipping your car around and bringing it to position would not be an issue. Be familiar with it as much as you can. That is for your advantage. Avoid getting obsessed with the ball. As the ball goes near you, the possibility is that you will crash it to pieces. That must be your instincts trying to take you over. However, if you know how to rotate, it becomes simple to assess the way you can tackle the ball. This is a chance for you to evaluate if you can drop back and defend. This can be the better choice for you. Look for a reliable teammate. You should never underestimate the delight of having someone to play it with. You may have ranked or casual matches. Any of those will not matter. This is going to give you the motivation to keep going when everything gets tough. Doing so is also a way for you to anticipate each other’s move. Just ensure that it is not only from a random teammate. Are you interested with Rocket League deals? Do you want to own Rocket League Xbox One, Rocket League PS4 or just a simple Rocket League PS4 code? If you are an avid follower of Rocket League, you have come to the right place. Here at Latest Deals, you will find the cheap Rocket League deals that will not burn a hole in your pocket. Take advantage of this and more. We have a community of bargain hunters who are always looking for the most affordable Rocket League prices, offers, discounts, console bundles, and price drops. Most of these come from UK retailers that feature a Rocket League game. Furthermore, we also have a team of money-saving experts who regularly share essential tips and tricks that will be able to save you on your instore and online shopping for Rocket League esports. Watch out for updates and posts so that you can save more from your purchases for Rocket League steam or Rocket League online. 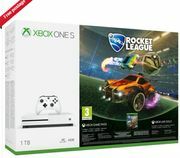 Most online UK retailers have sale events, seasonal clearances, and flash sales where you can get up to 40% off on Rocket League pc download and other Rocket League PS4 game related. There are also sales for Rocket League crates. Just make sure that you watch out for their Black Friday, Cyber Monday, and Boxing Day deals where their prices are reduced even further. If you want to maximise your savings, make sure to use the latest Rocket League PC discount code we have here. We also have voucher codes where you can get freebies or free shipping.